The campus is one of the beautiful campuses. You feel are in between the mountains and very close to nature. Infrastructure is pretty decent. College is newly constructed so it has good architecture and facilities. Placement records have been improving continuously year by year. A rigorous curriculum and an excellent opportunity to be part of student clubs where you get to learn and experience a lot of things. Fees are slightly costlier compared to other institutes in the same league. 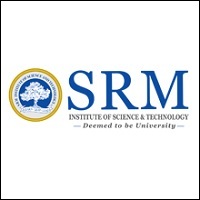 Overall a good tier 2 MBA college. GIM offers an extremely good atmosphere for students to study management sciences. 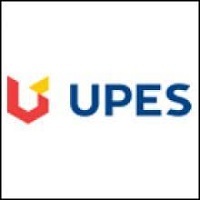 It also has several international affiliations such as with the University of Antwerp. The institute is also known to conduct student as well as faculty exchange programmes with Fachhochschule Ingolstadt, Germany, and Universidade Catolica Portuguesa. 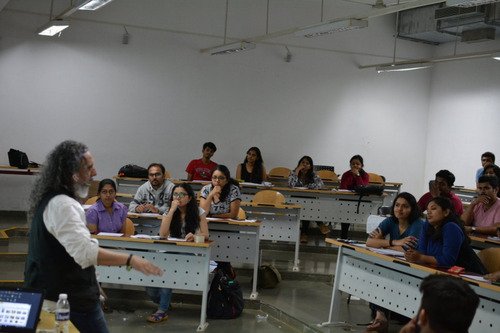 Such initiatives are sure to offer students very good exposure to the corporate world. 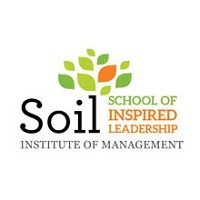 Goa Institute of Management is amongst the Top 25 B-schools of the country. The main feature of the college is its beautiful campus. 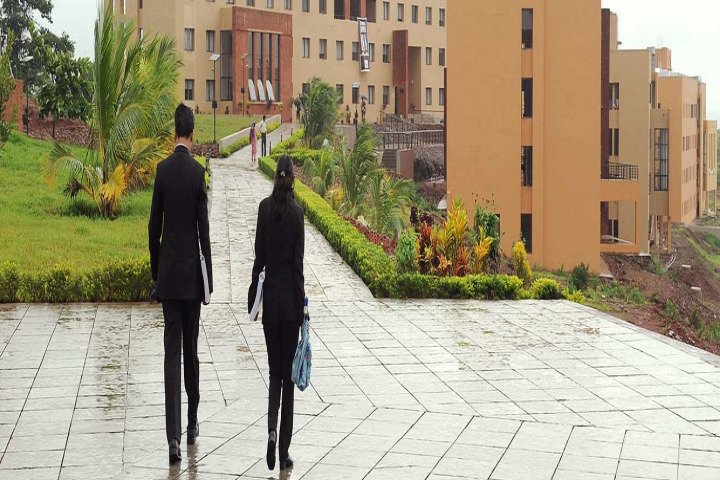 A sprawling 50 acres modern campus in the lap of the Sahyadris makes the study experience most memorable. After living a hard life in different populous areas of the country, it is the time to stay in the calm and divine milieu and pass the two most precious years of your life in the study of management. The infrastructure of the college is excellent with spacious air-conditioned classrooms, finance LAB, a rich library, well facilitates hostels , Gym, football ground, music room, prayer hall, multi-purpose hall and much more. The campus remains live for 24 hours and all days. 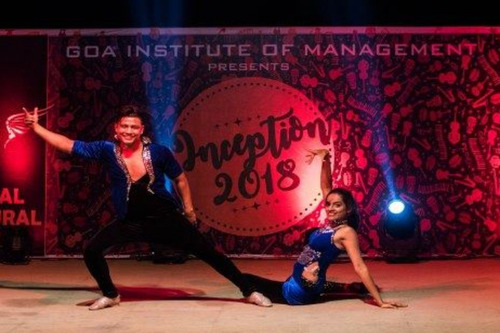 Life at GIM is bubbling with energy and joy owing to the sports and cultural activities planned and conducted by the students. The range of activities is an amazing mosaic of filmmaking, choir, orchestra, movie club, theatre, quizzing, the celebration of festivals and ‘learning with fun’ for village children from the neighborhood. 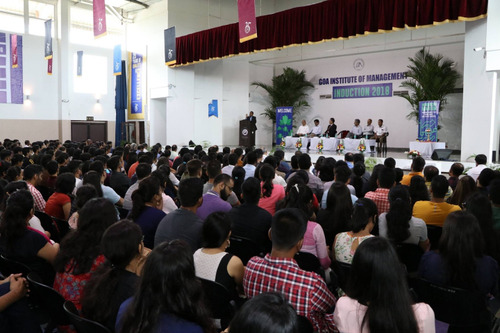 A galaxy of leaders from all walks of society, both nationally and internationally, visit GIM and share their insights with students and provide invaluable knowledge and motivation. The spirit of competitiveness is instilled in the students through a series of competitions of business analysis, current affairs, sports and cultural events. The institute offers a congenial environment to grow oneself with loads of outside opportunities always being made available . The faculty is great and helpful. The various advantage of the college includes its right number of student intake which is around 250, the residential programme which makes you learn to manage practically, great infrastructure, and all kinds of sports facilities available for the students. The college is completely student driven and that is a major learning experience in itself. 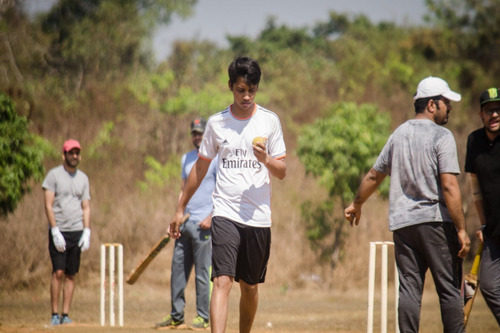 The college has around 23 different clubs and societies managed by the students. We have a completely cashless campus. How is GIM HCM course in terms of ROI ? How is scope of healthcare management? IBS Hyderabad, BIMTech Noida and GIM (BDA) [reason not a single batch of GIM-BDA has passed yet] ROI???? 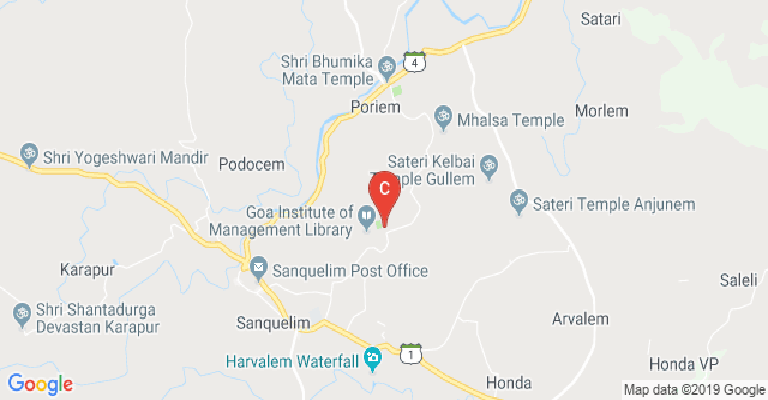 Is there anyway I can still apply and get into GIM, Goa this year(2019)? I did not apply previously. Boys Hostel :Not many management institutes can boast of a fully residential campus. The students compulsorily live on campus. This enables the faculty to design courses that demand much outside- of class, group work, which stretch the students to their limits. It is not unusual to hold classes during late evenings or during weekends at GIM. The students, therefore, have immense opportunities to learn to work not just in a single group, but in multiple groups simultaneously. They learn to work hard, to plan their time and to function effectively in a cosmopolitan environment. Girls Hostel :Not many management institutes can boast of a fully residential campus. The students compulsorily live on campus. This enables the faculty to design courses that demand much outside- of class, group work, which stretch the students to their limits. It is not unusual to hold classes during late evenings or during weekends at GIM. The students, therefore, have immense opportunities to learn to work not just in a single group, but in multiple groups simultaneously. They learn to work hard, to plan their time and to function effectively in a cosmopolitan environment. Library :The reading room environs beckon the students to join their peers in the quest for knowledge. Being a young and developing management institute the library hasA modest collection of over 7175 titles.Subscription to around 165 Indian and International journals.A tie-up with the University of Ohio, USA, which assists in updating of titles.Annual reports of around 1000 companies, stock exchange directory, CMIE. 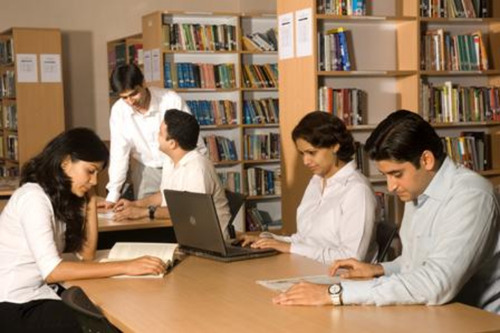 I.T Infrastructure :Goa Institute Of Management has one of the best IT infrastructures among business schools. It includes high-end servers of IBM and HP. The common labs are used to learn advanced software. Wifi :The entire campus is Wi-Fi, connected on optic fiber backbone with high-end switches, which enables the students to get round the clock access to all learning resources from their hostel rooms. It has got internet connectivity of 100 Mbps. Swimming Pool :The college has Swimming Pool facility for the students. Classrooms :The interaction with the professors requires an ambiance, which the spacious and well-equipped classrooms provide. Management studies come alive aided by the visual and audio aids present in all classrooms, each being equipped with a television, video, projection and presentation equipment. The single chair seating arrangement helps in-group activity. These are essential for the daily class presentations, which prepare the students for the world of business beyond the walls of the class.